Do you run a business that combines retail and wholesale? If so, we’ve got the perfect combination of features for you. With the ability to handle one-off purchases through to massive bulk orders, you’ll be able to keep providing the highest standard of service with AccuPOS, all day, every day. Banish warehouse problems forever, thanks to the innovative and effective software delivered by AccuPOS. 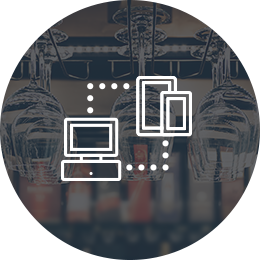 Versatility is something we pride ourselves on, and we know that there aren’t any other EPOS providers able to give a more comprehensive set of features than us. 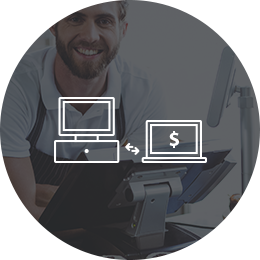 You’ll be able to seamlessly process huge numbers of transactions, add in as many screens as you need, and you can even get your business mobile, thanks to the inclusion of handheld Android devices. 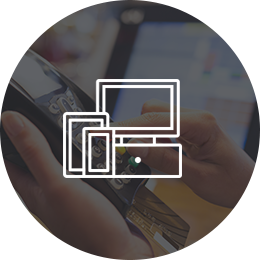 When you operate a multi-faceted business, we know you need an EPOS that can excel in all areas, just like AccuPOS EPOS. The list of jobs you have to do every day is probably longer than your arm, ranging from staff schedules through to promotion planning. And most of these jobs will be completed in the same place – your office. With AccuPOS EPOS though, you’ll be able to break from from the chains and take your work anywhere with you, thanks to our fantastic mobile management feature. With just one password, you can generate reports and plan your strategy from the comfort of your own home, the train, or anywhere else you want to be. Your day is probably dominated by admin, and the biggest of these is accounting – the scourge of managers throughout the world. Thanks to AccuPOS’ accounting integration though, you can consign those long hours manually entering figures to the sidelines, as you’ll have all your data sent directly from your EPOS to your accounting software. Tracking inventory becomes a breeze, staff clocking in and out is completely automated, and all sales are delivered in detail. Is it any wonder we’re loved by both QuickBooks Marketplace and Sage?